Not Just D.C.'s Baseball Team! 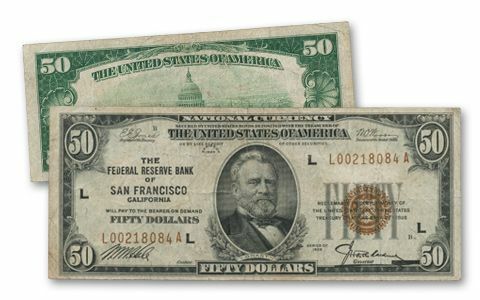 These National Bank Notes - known to currency collectors simply as "Nationals," were issued in 1929 at the very beginning of the Great Depression. As a result, they circulated heavily right away, and very few survive today. 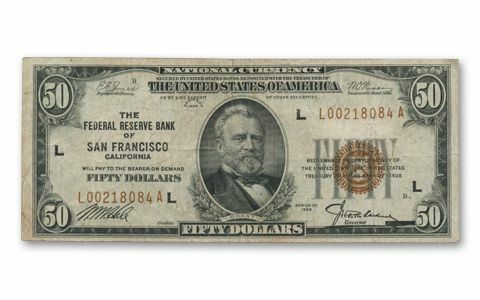 Their brown seals and serial numbers, along with the prominent Federal Reserve Bank branch names make them instantly recognizable. 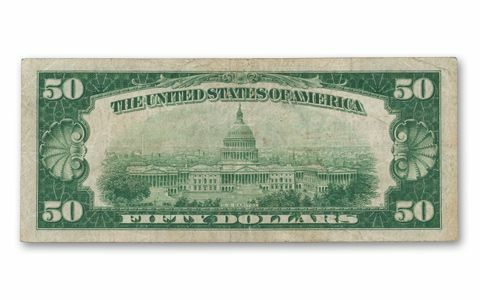 After a long search, we're pleased to offer this $50 Note. The note is in Fine condition and comes in a protective sleeve. Don't miss this opportunity to secure these scarce collectible notes!